home | holiday newsletter | DIY training camps for cycling and other sports-good idea? DIY training camps for cycling and other sports-good idea? To DIY it or not DIY it? The pros and cons of building your own training holiday for cyclist, triathletes and other athletes. If you’re looking to get some base miles in or some touring/training with little structure and are happy to ‘self-support’ then DIYing it is the way to go. Economic issues are also a factor as the best organised camps are more expensive than a normal B&B or self-catered holiday. With the right planning DIYing it can be the best solution, especially for longer training breaks. Generally experienced athletes, triathletes and cyclists like to just get on with their training holiday with minimal fuss. The less experienced cyclists can benefit for an organised cycling camps. Some people like minimal fuss, but to have the peace of mind that everything will run smoothly, for them DIYing it isn’t the best option. It takes a good deal of effort to organise a new training holidays. In mid-winter prices are usually much lower (whether you DIY it or go on an organised camp). Hotels tends to be empty, flights cheap. The weather and the longer days: You can take a couple of weeks away from the turbo and get some proper mileage in! testing. Testing is fundamental to good training and getting into race shape. A training camp offers the ideal opportunity to see where you’re at with your pre-season training. 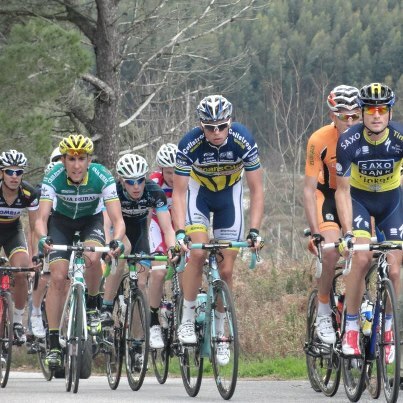 Tie it in with something fun too, the early season races in Andalucia and the Algarve attract some of the biggest teams; get quality training in and see the race. The week before a even you’ll have begun tapering, so the key aspect is rest and regenerative training. But 2-3 weeks before an event, it’s time to get the final and important bits of quality training in. In fact, hit this stage correctly, with your weight near race weight and a reasonable amount of fitness and it can make a huge difference. For this week or two of honing your form, it’s key to be free of distraction and focus on the sport, the training and the recovery. It’s here that organised training camps come into their own. Even experienced people get it wrong some times. If you’re on an organised camp, generally the camp organisers (should) be happy to sort out little issues, like a missing bit of kit, or getting you back on track should you get lost. If you’re DIYing it keep a check list of things you need. Think of what you need for sport, logistics, etc. plan transfers to a variety of training locations before hand. Might be an idea to rent a vehicle. bike food (can be hard to source locally). training facilities (tracks, pools) can have odd opening times and odd regulations (presentation of specific ID and the like). Find out about these first. You can ask me for advice and I’ll give it too you: Places to visits, good places to train etc. This free of course, the ‘raison d’etre’ of this cycling is to get people training and doing sport and above all enjoying it!